Look at these photos! A little bit different to what you normally see over here but I got a new lens for my birthday! (Technically my birthday isn't until the 8th of February, but I was too eager to try it out). It's the 50mm lens for canon, and I really love how the photos have come out! What do you think? Obviously my outfit photos wont always be like this, because I can't beg people to take them for me all the time, but hopefully the majority of the time they will be like these. Anyyyway, the outfit. I have fallen in love with this t-shirt from Primark, I think it was about 8 pounds, and I just really like the vibrant floral print. It reminds me of the men's floral t-shirts that are in Topman and River Island at the moment, and strangely I never see them for girls, so I had to get this one, super cute! Also my gal pal Lydieface has it too, twins! 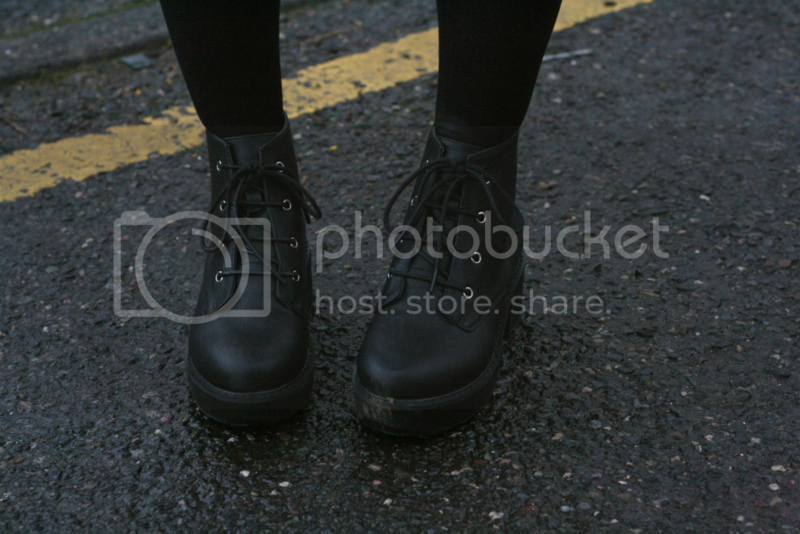 P.S, these boots have come back in stock! ADORE this look babe! Your top is amazing and as for your boots, helllooooo beauties! I have that lens and it was the best thing I ever bought! These shots are truly awesome! the photos look really great! I am completely in love with that top, it's such a nice print and with those boots, just perfect! 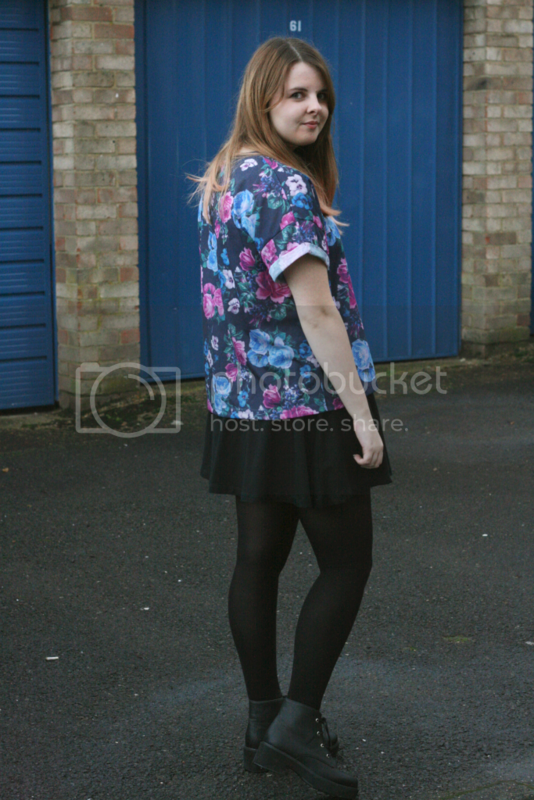 I love that floral tee!